Our experienced staff is here to answer any questions you may have concerning sailboats from Com-Pac Yachts. 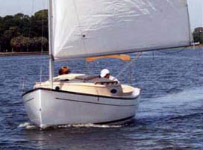 Ed is the co-owner and licensed employing broker of record of Gulf Island Sails. 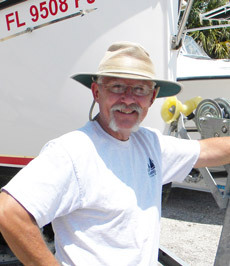 He is a member of the FYBA, Punta Gorda Boaters Alliance, and Mariners Boat Club. He is a licensed Coast Guard captain, a notary, and has over 50 years of sailing and power boating experience. Ed's cell is 941-628-0167. Sara is the co-owner of Gulf Island Sails and previously worked in the fields of human resources, finance and corporate administration. She has been sailing for over 30 years. Sara's cell is 941-763-5903. Jim is a licensed employing broker, a notary, member of the FYBA, a 50-ton captain, and a Navy veteran. He currently owns a Morgan 33 and has over 40 years of boating experience. Jim's cell is 941-740-0389. 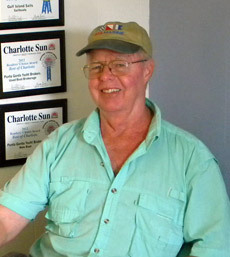 Tommy is a licensed yacht broker in South West Florida and has been selling boats worldwide for over 29 years. Call Tommy's cell at 941-769-2594 for all your boating needs. 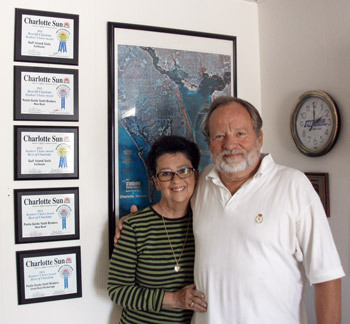 Shelli Massey and her husband Craig are the owners/operators of Punta Gorda Marina, a full service marine yard in Punta Gorda Florida. 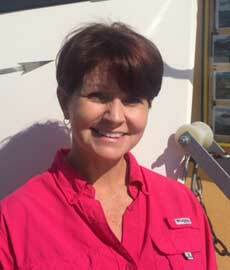 The Masseys have been boaters all their lives and will give you excellent service. Call Shelli at 941-662-7951.